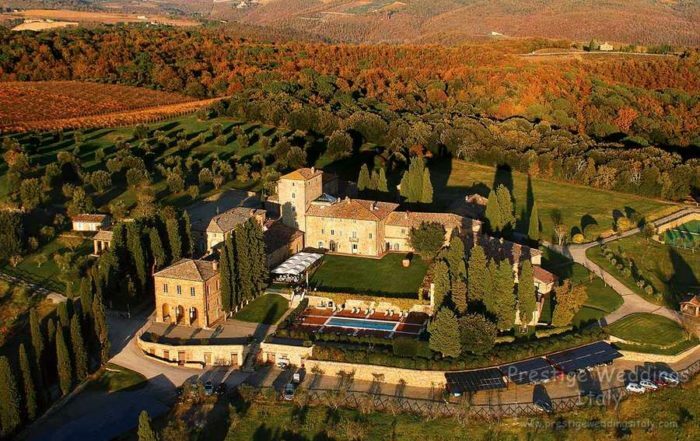 The elegant 5 star venue is the testimonial of the refined lifestyle of the renaissance Villa it once was. The Hotel Villa has a spectacular and romantic view of the whole of Florence below as it is set on a hilltop high above the Arno river. 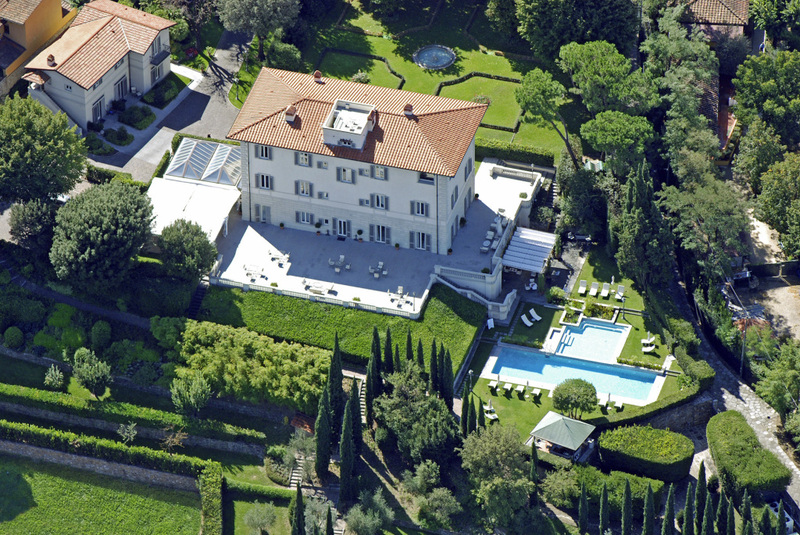 It is surrounded by a beautiful Italian garden and has a luscious park on the slopes towards the Arno. The panoramic swimming pool and large outdoor Jacuzzi look out over Florence, giving you a relaxing and unique atmosphere as you laze on the comfortable lounge chairs besides the pool deck enjoying a variety of nifty appetizers and cocktails from the pool bar. 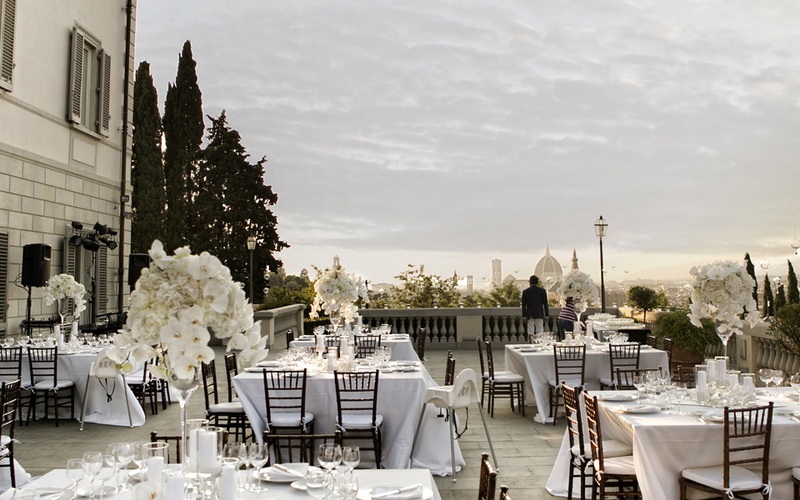 This venue can be rented exclusively for your wedding in Italy, celebrating your wedding here is a memorable day for you and your guests to experience the dramatic view of Florence. 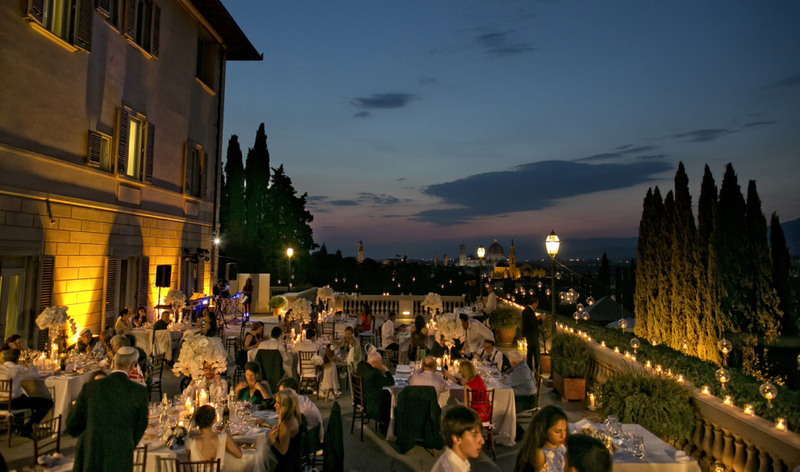 One of the most famous and romantic cities in the world being right at their footstep away, enjoying the view of the beautiful Cupolas during the day and the Florence by night with all the lighting illuminating the city during your wedding party in Italy. The venue offers a wide variety of services that are much needed to a couple that are about to wed and which will pamper you and your guests so you may have a wonderful relaxing and memorable experience. There is a 24 hour room service, which enables you to taste some of their gastronomic proposals and snacks from the restaurant in the intimate and warm atmosphere of your own room. 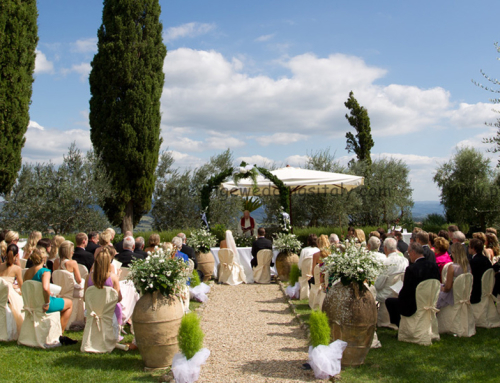 For a blessing or a symbolic wedding you can enjoy having it in the venue’s beautiful terrace with the best view ever of the romantic city or in the Hotel’s private lusciously green garden. Have a religious wedding in Florence means select beautiful churches to choose from, as Florence is rich in historical architecture and famous churches. Most of them are located in the historical town of Florence. Is also possible to have different religious wedding due to be present in the town also different churches from roman catholic. If however you choose to have a wedding civil ceremony, the Florence Town Hall allow you to have an elegant wedding in the heart of the town. The venue allow you to to have your welcome cocktail party in the beautiful Italian garden then move up to the wonderful terrace with the full view of the city of Florence for your sit-down meal, prepared with attention and cure in every detail from the Hotel’s gourmet restaurant, giving you and your guests attending your wedding a taste of true Florentine haute cuisine. The Hotel’s restaurant is recommended in numerous national and international gastronomic guides for its fabulous food and impeccable service. 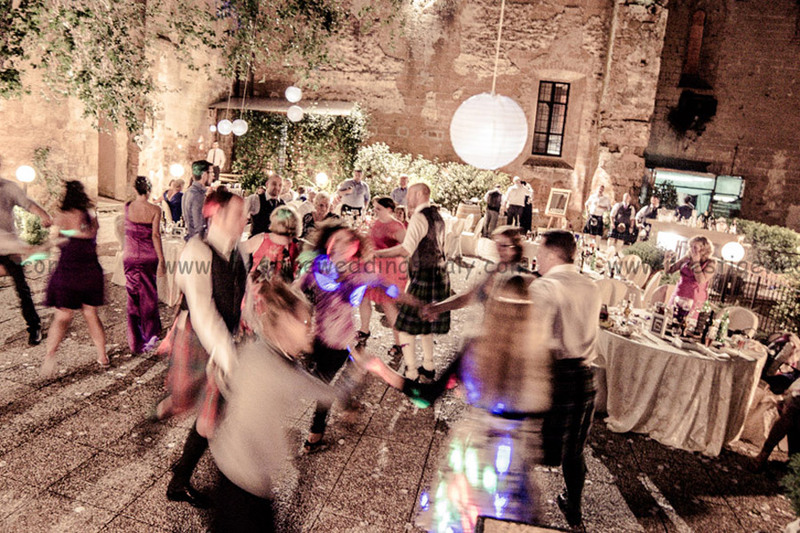 The venue is perfect to rent in exclusive for you and your guests to celebrate your weddding in Florence. There are 18 rooms up to 43 people including the suites and each room is beautifully furnished and decorated in different colour schemes for each room. All rooms are spacious and luxurious and all are completed with a bathroom/Jacuzzi. All of the rooms boast a spectacular view over Florence or the hotel’s private garden. All rooms have air-conditioning, TV with satellite channels, double phone line, radio and CD player. The hotel also offers complimentary cable and wireless Internet access and free Internet Point. The grand bellavista terrace is decorated with tables, armchairs and umbrellas and it is an ideal location for get-togethers and other magical parties. Didn’t see the gallery yet? Do you like this villa? Write us! The elegant 5 star venue is the testimonial of the refined lifestyle of the renaissance Villa it once was.